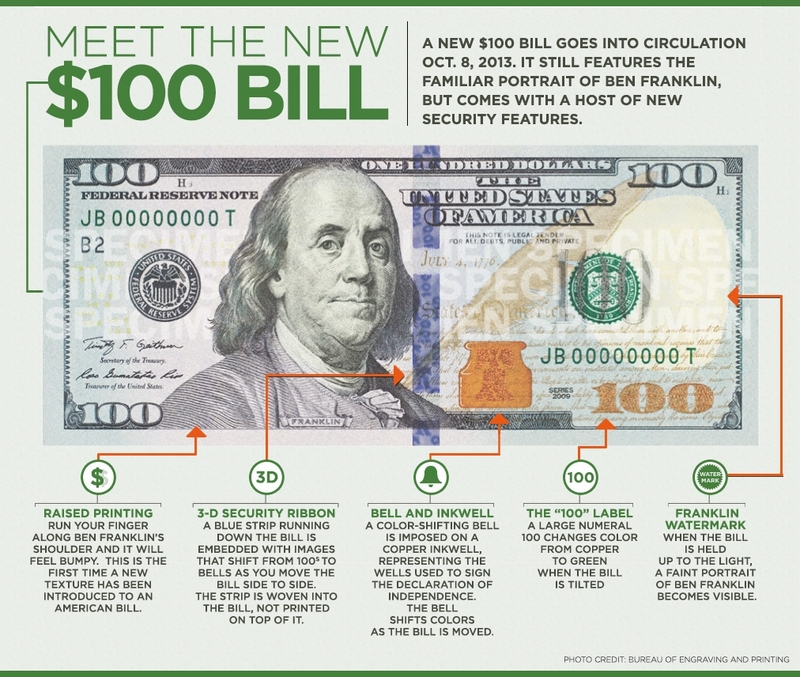 Recently, I received a $100 dollar bill and it was new. 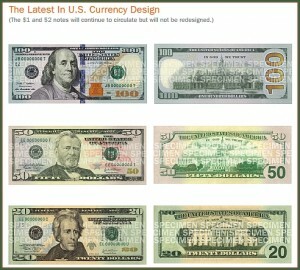 Though the bill was released last October, the design has been updated and when I went to pay, I realized I had never held one of the new bills – they take a while to start circulating. I thought to myself for an instant, “… what if it’s counterfeit…” So I decided to learn more about the new Benjamin Franklin and thought I’d share it with you. 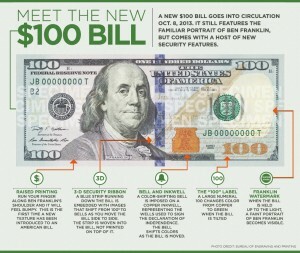 I saw one of the new Benjamins when I was volunteering at the Plaza Playhouse Theater’s box office last night. I wondered the same thing about the counterfeit. Thanks for the lesson.